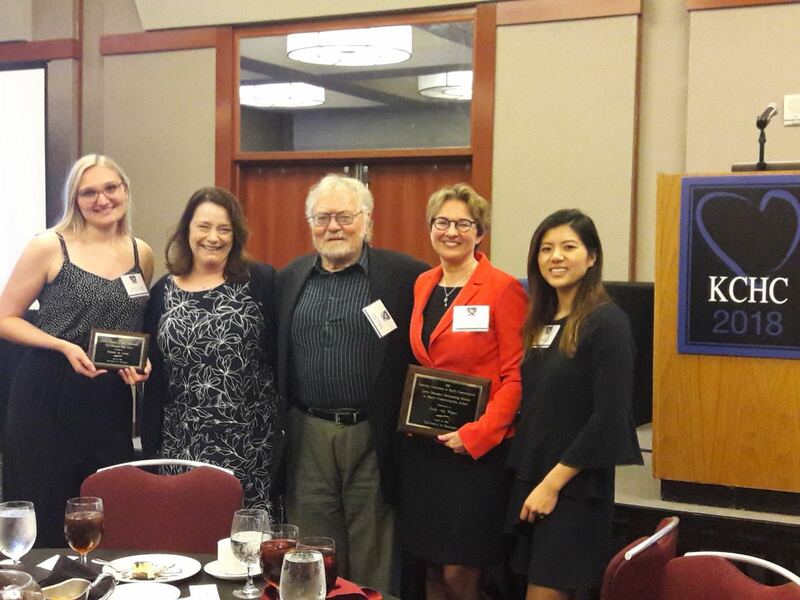 Published on April 17 2018 – The Kentucky Conference on Health Communication (KCHC) in Lexington was a great success for researchers from the Amsterdam Center for Health Communication (ACHC). Melanie de Looper, together with Julia van Weert, Ellen Smets (AMC-UvA), Olga Damman and Daniëlle Timmermans (both VUmc) won two awards, i.e. the Top Conference Paper Award” ánd the Top Conference Paper Award Harrington Honors. This was for their paper entitled: “Adapting Online Decision Aids to Older Cancer Patients’ needs. Effects of Audiovisual and Narrative Information on Satisfaction, Information Recall and Informed Decision Making”. Minh Hao Nguyen, together with Nadine Bol, Julia van Weert, Eugène Loos and Ellen Smets (AMC-UvA) received an Honorable Mention Poster Award for the poster “Fear & Forget: What Predicts Recall of Medical Information in Newly Diagnosed Cancer Patients”. Finally, Julia van Weert has been selected as the recipient of the 2018 Lewis Donohew Outstanding Scholar in Health Communication Award. The award ceremony took place at the KCHC conference.